Iron Viz Silver Screen: We're Waiting for Your Masterpiece! There is one more spot for the Iron Viz Finals in Las Vegas! Are you ready to create your best viz to get it? The theme of this last Iron Viz 2017 feeder contest should inspire all movie-lovers and TV-watchers! 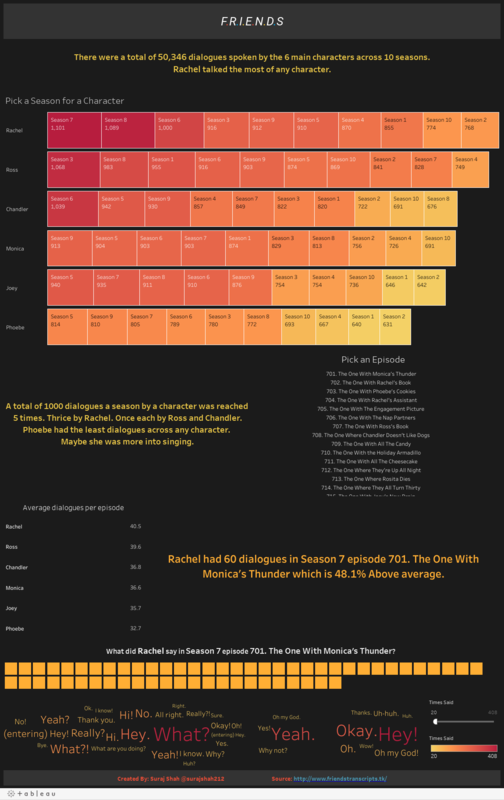 We'll let you choose the plot for this Iron Viz: Silver Screen, but you must use data related to movies, TV series or TV shows. 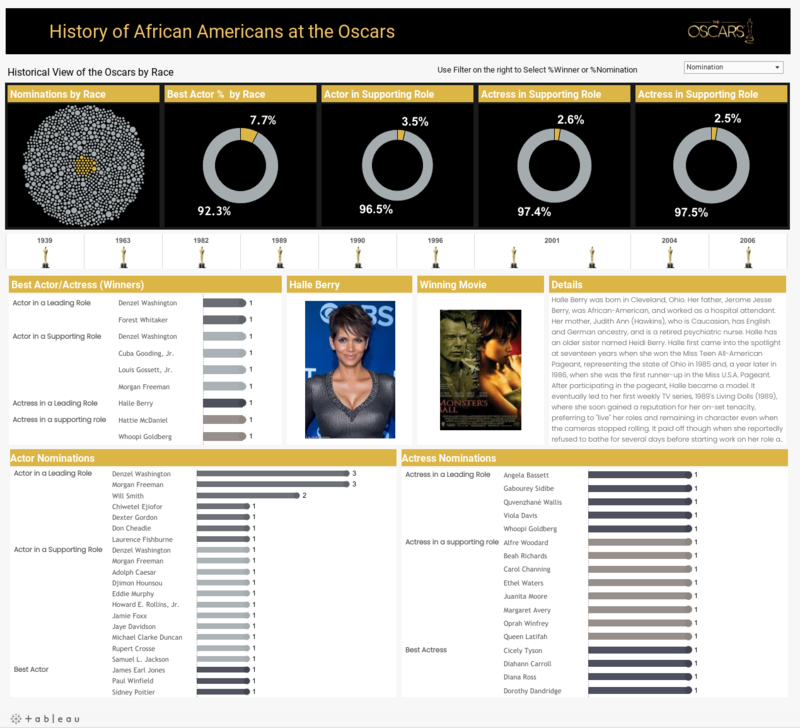 We've seen great visualizations revolving around the Oscars or popular series over the years, and we have no doubt that this theme will resonate with each and everyone of you. Do not feel like you have to stick to American blockbusters or series, Bollywood or European cinema are as relevant, as long as your viz is strong in analysis, design and storytelling. As instituted for the previous feeder, we'll be awarding a Best Rookie Award to a new participant in Iron Viz who manages to flabbergast our judges! We will also stay away from any Twitter voting as it disadvantages participants from countries where Twitter is not big or simply not allowed. Yet, if you do want to review and judge the entries, feel free to do so and share your favorites on your blog or or social networks. It will keep the dialogue open and allow participants to get extra feedback on their vizzes! Now, if you're still looking blankly at your screen wondering what an Iron Viz Silver Screen visualization could look like, here are a couple of examples to kickstart your creativity! So you're having an internal brainstorm of all the movies and series you've ever seen in your life, trying to figure out which ones could make for an awesome viz. But "where to find the data? ", you wonder. We've got you covered with some TV and cinema-related data sets! Bechdeltest.com is a crowdsourced initiative where people help rating movies against 3 criterias: (1) the movie must have at least two women in it, who (2) who talk to each other, about (3) something besides a man. 7320 movies are currentinly in the database and you can access the raw data via an API. Slightly dated but a possible inspiration triggerer, The Guardian's 2010 Greatest Films of All Time ranking is available as a Google Sheet. Explore the various tabs to see the best comedies, action or horror movies according to the UK newspaper. You can also explore Kaggle, a data science platform where you can find data sets on a variety of topics, including, for instance, Game of Thrones. Finally, if you haven't explored the data.world platform yet, you may want to create a free account and check out what data are available up there. There's a project called "Do the best movies on Netflix pass the Bechdel test?" where you could find data and ideas. Bonus: you can connect Tableau directly to data.world's data thanks to their Web Data Connector, explained in this video. And of course, you can scrape tables from Wikipedia using the importhtml() function, as explained in this blog post. Submit your viz by August 13th, and be ready for the winners announcement on August 21st. We hope you'll keep our judges on the edge of their seats!